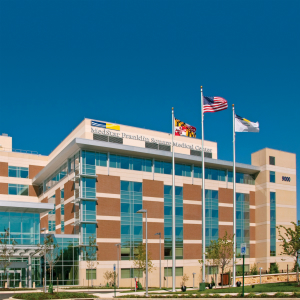 MedStar Union Memorial Hospital has built an innovative heart program known for being the first in Maryland to implant a subcutaneous cardiac defibrillator, implant a bioresorbable stent, and perform TAVR and WATCHMA procedures. Nurses who join us will enjoy a positive team environment, respect for work/life balance, self-scheduling (on most units), and opportunities to learn and grow. Collaborative, research-focused environment with exposure to transradial catheterizations, IMPELLA, TAVR, WATCHMAN, PFO closure/ASD repair, and valvuloplasty. Critical care experience is required for 12-hour day shift positions (with call). Telemetry/critical care experience is required for 12-hour rotating shifts in our 28-bed prep and recovery unit. Choice of day/night, day/evening or night only shift rotations (with call). CCU RNs work in a 24-bed open unit, with critical care consortium development program provided. This 20-bed telemetry specialized unit offers RNs a stepping stone into critical care. Critical care consortium development program provided. We provide a 12-week orientation (including critical care consortium) to RNs with 2+ years of ICU/critical care experience. Chose day/night rotation or permanent night shift. Must be flexible with willingness to take call and work weekends/holidays as needed. Work with a diverse team of intensivists, nurse practitioners, residents and interns. Gain experience caring for the ICU, IMC and SICU patients. Build broad ICU knowledge and receive ongoing mentoring support. Have confidence in our very low CAUTI rates, with no CLABSIs for the past three years. Be recognized for your compassion in patient and family care. 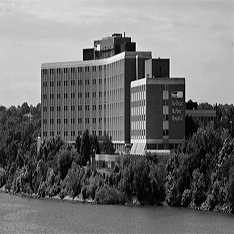 State-of-the-art patient tower with cutting-edge technology. Collaborative team led by board-certified intensivists. Nationally recognized for sustaining a zero CLABSI rate since 2012 and zero VAP rate since 2009. Highly engaged staff with the autonomy to effect and drive change. Continuing education support for RNs seeking BSN and CCRN credentials. 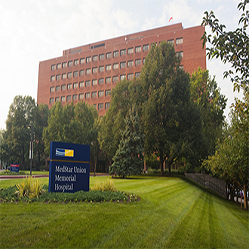 MedStar Health is an Equal Opportunity (EO) Employer and assures equal opportunity for all applicants and employees. We hire people to work in different locations, and we comply with the federal, state and local laws governing each of those locations. A qualified individual with a disability will be considered for employment on the same basis as non-disabled applicants if he/she can perform the essential functions of the job sought, with or without a reasonable accommodation, and without imposing a direct threat to the health or safety of others or him/herself.